Motorola DROID had a serious marketing blitz and has become an incredible success story for Android mobile platform. 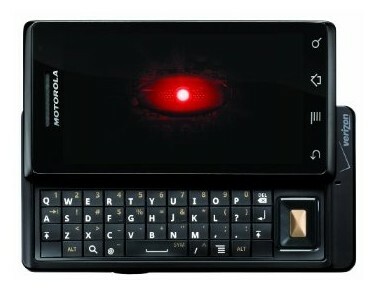 Amazon has the Motorola DROID A855 Phone (Verizon Wireless) for $109.99 for both new and existing Verizon customers. Enter your zip code and add the phone to your shopping cart to see this price. Verizon sells the Motorola Droid starting at $199.99 for new customers (and $149.99 for existing customers)so you are saving $90 easily buying it from Amazon Wireless.